Christoph Hess, a FEI Judge in both dressage and eventing, is highly respected around the world as a teacher of riding and the development of the horse according to classical principles. Here he collects some of his very best riding and training tips along with well-honed insight related to the topics that he finds most often challenge equestrians and their equine partners. Ride Better with Christoph Hess provides thoughtful, easy-to-apply advice when dealing with issues with the gaits, in particular the walk and canter; high-headedness or the horse that is “too light” in the poll; inconsistency of performance; leaning on the bit; falling out; lack of straightness; and much more. In addition, Hess breaks out particular skills and movements that often need specialised attention when in the dressage or jumping ring, and when going cross-country. Throughout Hess emphasises that a rider must always strive to improve, for the simple reason that you can always do better for your horse. While competitive and training goals do, of course, bring a certain satisfaction, it is having an equine partner who is contented in his work and happy in your company that rewards most. This lesson, and all Hess’s tips and solutions, are invaluable to equestrians of every level—everyone can walk away from this book a better rider. Recognizing that modern day dressage has become more of a sport than an art form, this guide advocates for a revival of schooling that emphasises pleasure for both the horse and the rider. Addressed to riders of all ages and skill levels – and to animal lovers generally – this moving appeal successfully showcases a humane riding tradition. By Carl Hester and Polly Ellison. Training advice from Novice to Grand Prix, working with different horses in ways to suit each horses’ welfare and management. In Real Life Dressage Carl Hester shares his training methods and shows how they can be adapted to suit individual horses. Assisted by co-writer Polly Ellison, he outlines his training regimes and favourite exercises, following some of his own horses up the levels to Grand Prix. The updated and revised edition of Kyra Kyrklund’s very successful book. 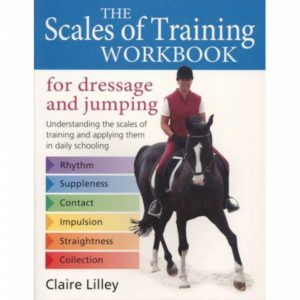 She is one of the world’s most talented dressage riders and in this book she reveals the secrets of her unique training system that has brought her repeated successes with her numerous horses. From novice to Grand Prix she will guide you through her basic ABC explaining how to teach the horse to work happily with only the lightest aids possible. Kyra explains how to develop true straightness bend and flexion and then how you can move your horse onto leg-yeilding collected lateral work canter work zigzag half-passes pirouettes piaffe and passage.